We pride ourselves on excellent workmanship and safety is of utmost importance. That is why we are Corgi Registered Plumbers Loughborough. However, there are many cowboys operating out there and badly fitted and poorly serviced appliances can cause gas leaks, fires, explosions and carbon monoxide poisoning. Carbon monoxide is a highly poisonous gas. You can’t see it, taste it or smell it, but it can kill quickly with no warning. To prevent these rogue traders potentially putting people’s lives at risk CORGI are constantly looking for ways to improve the safety of users of gas appliances. Over the years there have been many changes to the way in which a person carrying out works on gas appliances has been regulated. April 1998 saw the introduction of the CORGI ID card which was to be carried by all registered installers and in April 2005 ‘The Complete Safety Initiative’ was introduced, whereby a gas installer is required to provide the customer with a Declaration of Safety or Building Regulations Compliance Certificate. Following a review by the HSE carried out in 2006 a change to a new gas registration scheme was implemented. The contract to run the new scheme was awarded to Capita and the Gas Safe Register was launched. The Gas Safe Register replaced CORGI as the gas registration body in the UK on 1 April 2009. The Gas Safe Register is the official list of gas engineers who are qualified to work safely and legally on gas appliances. By law, all gas engineers must be on the Gas Safe Register. All of our plumbers are Gas Safe registered engineers and are qualified to work safely and competently with gas and associated appliances. Our fundamental objective and ethos is to keep you safe and provide you with the outstanding service at a competitive price. 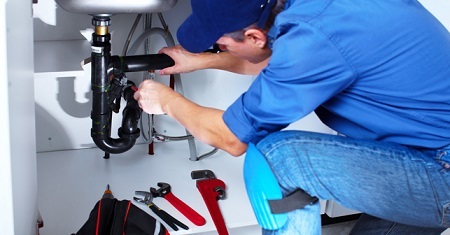 No job is too big or too small and we aim to make sure you receive a personal service and reliable repair or installation. As result, we have gained an excellent reputation within the local areas of Shepshed, Loughborough and surrounding villages. So if you need to a boiler service or a complete replacement, don’t hesitate to call today on 01509 502 402 or contact us via our easy to use online form.